Do you lead an active lifestyle? then Super Oxygen ™ – Sport Edition is for you. From aerobics to Zumba. Super Oxygen – Sport Edition is specially formulated for you. Maximize your workout with our natural supplement. 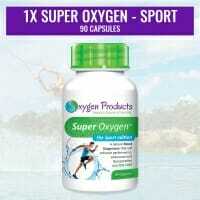 Oxygen Products is proud to bring Super Oxygen – Sport Edition to you. Allowing you to do more, see more and improve your health and wellness. Whether you are a professional athlete (NO BANNED SUBSTANCES), a fitness fanatic or just an active person. Super Oxygen – Sport Edition is what you need. Proudly brought to you by Oxygen Products. Striving to bring you natural supplements to improve your holistic health. We at Oxygen Products are aware of the increasing need for supplements to enable you to get the best out of what you are doing. Our brainchild Super Oxygen – Sport Edition. Specifically formulated to meet the demands of an active lifestyle. Our natural supplements are made to allow you to achieve optimum performance naturally. So what is in Super Oxygen – Sport Edition? Super Oxygen – Sport Edition is formulated to give you the optimum nutrition for your active lifestyle. Super Oxygen – Sport Edition breaks down quickly to give your body the boost it requires. Both in supplemental oxygen and healthy nutrients to fuel your active lifestyle. Super Oxygen – Sport Edition has no added sugar and no calories. A natural supplement that is non habit forming. Can be taken with other supplements to help gain the optimum benefit from those supplements. The Super Oxygen ™ – Sport Edition advantage. Gain more from your exercise program. Our natural supplement Super Oxygen – Sport Edition will give you improved endurance. The release of oxygen from our product will supplement the much needed oxygen in your blood stream. With more oxygen available at cellular level. This will help your body to buffer against lactic acid production. So you can workout for longer. The supplemental oxygen will also aid in the production of ATP. Which means you will have more energy. The magnesium in our formulation also helps in the delay of the onset of cramping. Super Oxygen – Sport Edition also will improve your performance. The increased energy and reduced lactic acid in your body. Will give you better performance. The nutrients in our natural supplement are quickly absorbed by your body. Going directly to feed your cells. These nutrients help provide the optimum needs for your cells. With your cells working at their best. Your performance will improve giving you the optimal active lifestyle. The supplemental oxygen provided by Super Oxygen – Sport Edition also allows for more oxygen in the brain. Allowing you to be in a more aware mental state. Improve your recuperation times with Super Oxygen – Sport Edition. Our special formulation is designed to help your body recover. The supplemental Oxygen available in your body. Quickly goes to work to help reduce the stress exercise has put on your cells. The powerful natural ingredients in Super Oxygen – Sport Edition combined Oxygen go to work in your body to help build stronger muscles, tendons and cells to help your body recover in a shorter time. With Super Oxygen ™ – Sport Edition go further, achieve more and do more. I just want to take the opportunity to commend you on a great product. I was dropped in the deep end 4 weeks prior to the Trans baviaans mountain bike race ( The hardest single stage race in the world) which is 233km. I say deep end because I had not been on the bike for close to a year and only had the 4 weeks to train after being invited to ride. I got your contact details from a colleague and proceeded to get Super Oxygen from yourself. The advice you gave me for the use of the tablets was amazing, I cannot describe the benefit I felt once using the tablets (THEY ARE AMAZING) I did not cramp once on the ride (I am prone to cramping) and never felt fatigued at all. They amount of oxygen I felt I had was amazing , I just seemed to have so much in reserve the entire race. This product is a must for everyone no matter what sport they do. The recovery after the distance was almost instant. Thank you very much for this Super Oxygen – I do not and will not train or compete without it! Super Oxygen – The Active Edition has improved the quality of my life as my blood circulation has improved and I have less bladder infections. It also keeps my colon clean. My Gym members have all seen an improvement in their performance and their recovery is so much faster. I would highly recommend this product to all – regardless of their fitness levels. Three years ago whilst overseas I realized that my kidneys were not in good shape. A good South African friend of mine suggested that I try and find a supplier of oxygen products. As is known oxygen is the most important healer and renewer of cells in the body. I googled such a supplier in the name of Super Oxygen and had a lengthy discussion with Venetia Kruger the owner of the product. I was convinced that I am on a good thing and immediately placed my first order. A few days after taking the capsules, I noticed an increase in energy and a decrease in fatigue and lethargy. This became my regular intake and eventually I felt really well to the point that I recommended this product to friends who also ordered them. Two years ago I returned to South Africa and completely forgot about continuing my intake of these capsules. One day out of the blue I felt quite I’ll and visited a local GP who was sensible enough to take full blood tests. The following day she called me in a frantic state to say that I am in renal failure and immediately arranged an appointment with a nephrologist. He confirmed the condition as being serious and plans were set in place for dialysis. The treatment began and about five months later Venetia sent me some Super Oxygen. Initially my blood tests reflected very bad GFR, potassium and HP levels. However after taking my capsules for just five weeks my blood tests have shown way more positive results. I must mention that every time I completed my dialysis treatment initially, I was tired and very lethargic. However since taking my Super Oxygen I have endless energy and my overall well being has improved dramatically. People often cannot believe that I am a dialysis patient and my dream is to be a living testimony of how this product has improved my condition. In fact I firmly believe that I will come off dialysis and it gives me great pleasure to share this with others. Ideally I want to promote this product to other chronic patients as its healing powers go way beyond kidney disease but extends to many other chronic illnesses. I will always be grateful to Venetia for introducing such a magnificent product and I certainly am not the only beneficiary of its worth. Having just come off the professional rugby scene last year and using Super Oxygen in conjunction with my training has proven most beneficial. The volume of training is immense but upon taking Super Oxygen, pain and stiffness is a thing of the past for me, I feel I can train harder for longer.